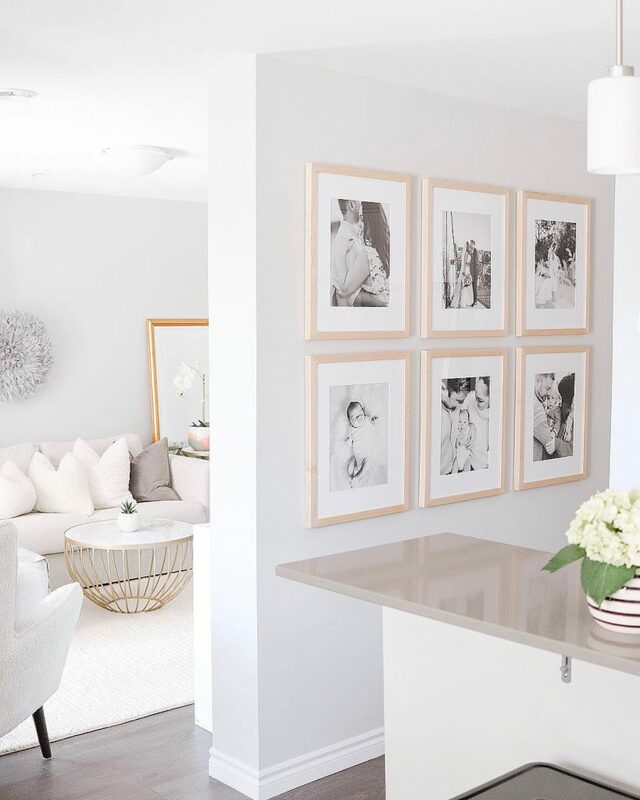 We love the look of a well-designed gallery wall. Displaying your favorite moments is the perfect way to turn your blank wall into a beautifully unique design element in your space! Creating the perfect gallery wall is definitely a daunting task and at times can seem a little more science than art. We’re sharing some inspiration from our creative community to give you some ideas for that wall that needs a little TLC. @brogsathome created this gorgeous Wood Frame gallery wall with her precious wedding and newborn photos! 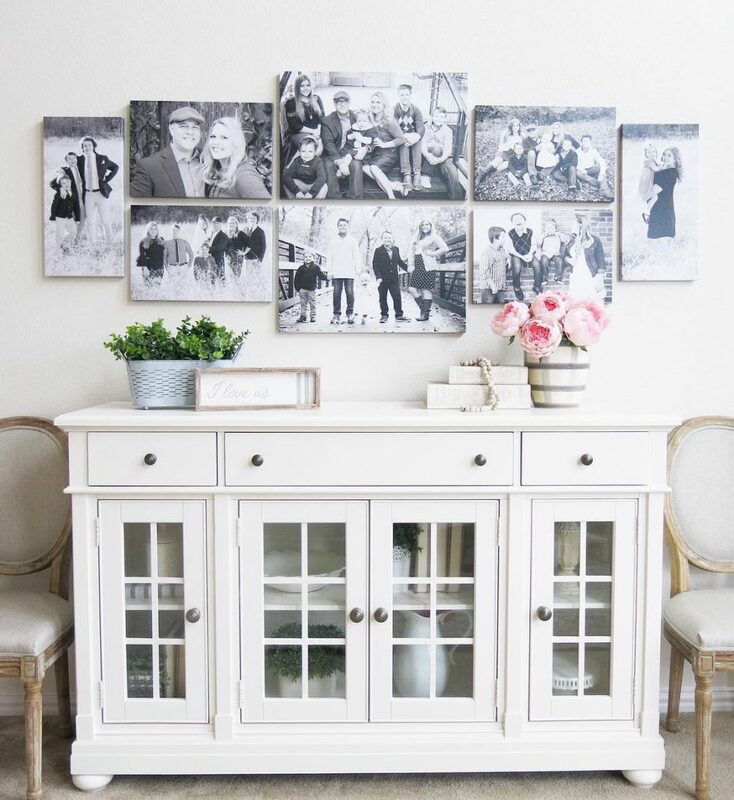 You can recreate this look by ordering six 16×20” Maple Frames with a white Mat. 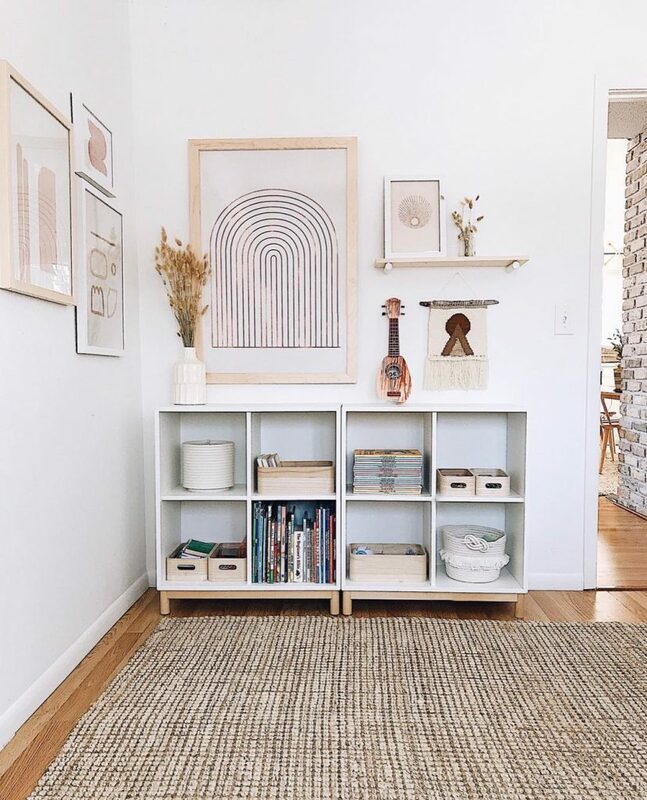 @houseon77th used six 20×20” Black Wood Frames with a white mat. 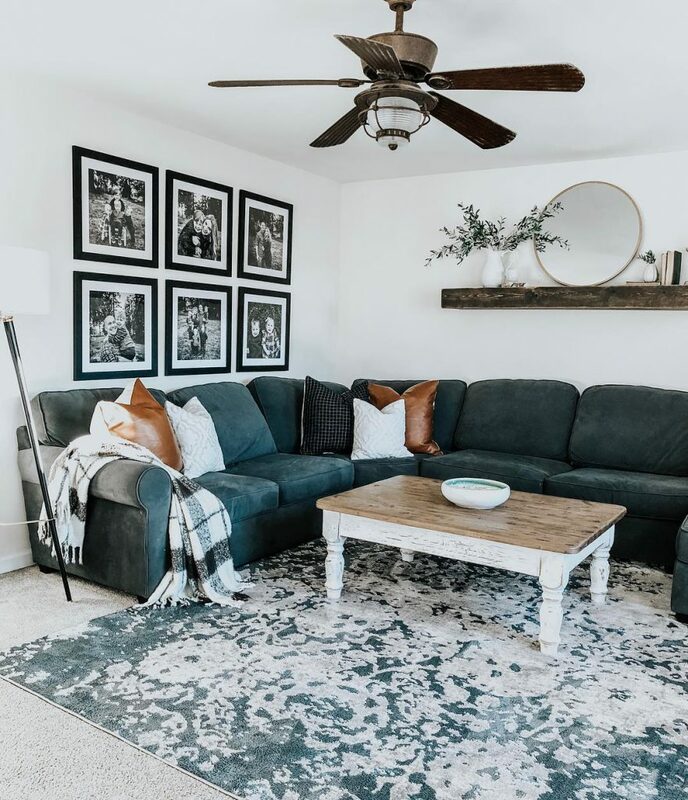 She used black and white images in the frames to make her couch and rug pop! 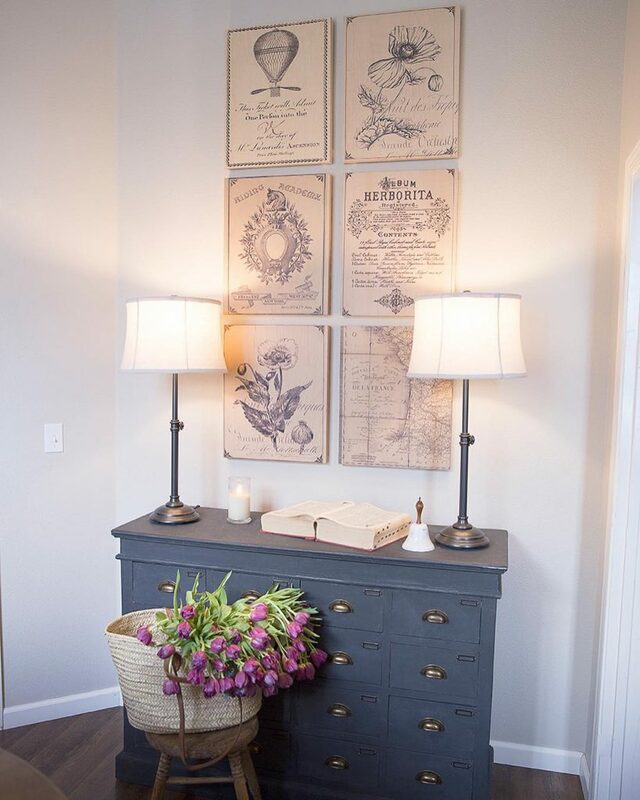 To create this unique corner in her home @restoring_home had some modern prints framed in multiple sizes, colors, and mediums. Two 8×12” Frames, two 16×20” Frames, one 20×30” Maple Frame and one 11×14” Metal Print. 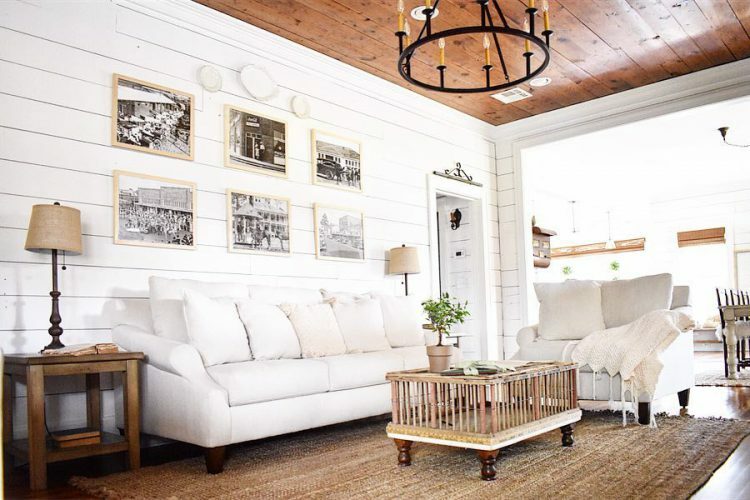 These unique prints were collected by @simplysoutherncottage town’s historian (how amazing?!). She then had six 16×20” Maple Frames printed with no mat and hung them on her gorgeous ship lap wall! We love the gallery wall full of friends @maisondecinq created for her daughters work space. These 12×18 Canvas Prints make the perfect statement on her wall. @nissalynninteriors refreshed her dining room with some beautiful Canvas Prints. To recreate this look you will need two 10×20” Canvas Prints, five 12×18” Canvas Prints, and two 16×24” Canvas Prints. Lot’s of desk inspo coming from @vintageporch! 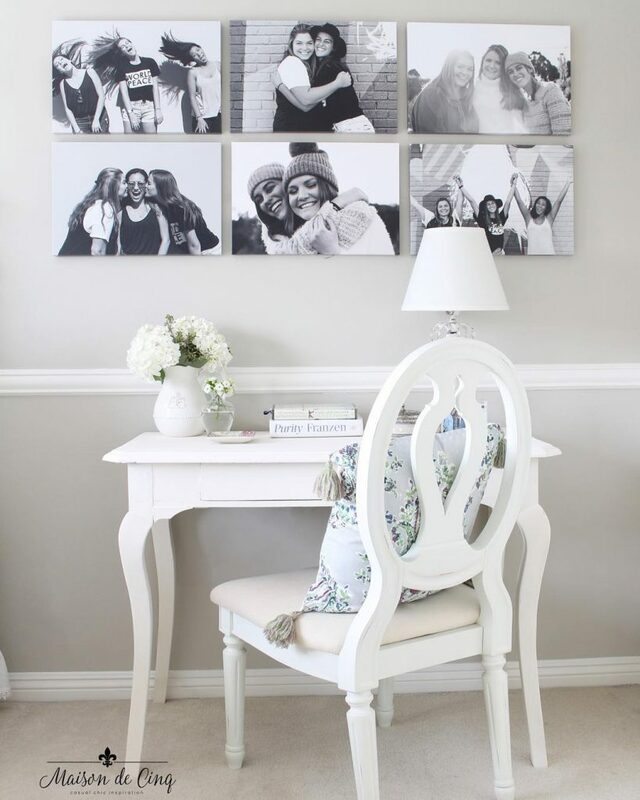 She printed six 16×20” Prints and used white vintage inspired frames that are a total focal point of her office. To create this beautiful feature wall, @ellaclaireblog styled her space with vintage ephemera on six 16×20” Wood Print Wraps. Looking for tips on how to hang your wall? Check out tips from our friend Amanda at Luxe Mama Blog. What are your thoughts on gallery walls? Love or leave?